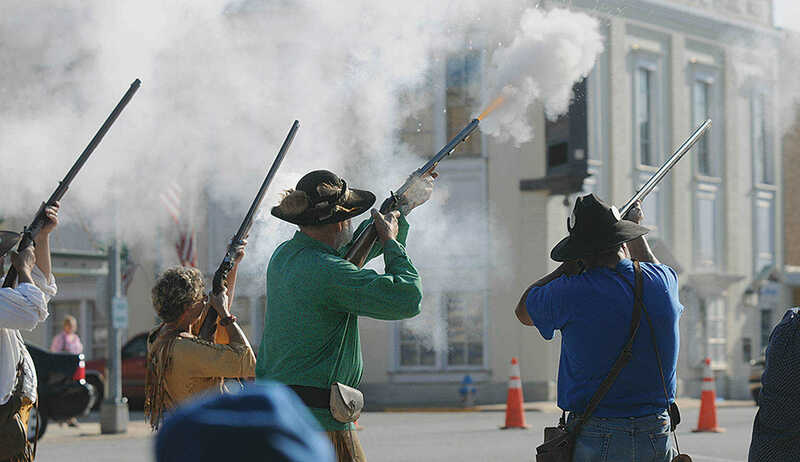 The Annual Bushwhacker Days features a walk back in history. The Nevada Daily Mail was first published July 9, 1883. It was a merger of the Daily Democrat and the Southwest Mail. The paper also existed as the Daily Democrat, the Vernon County Republican, the Weekly Post and The Herald. The shopper, the Nevada News, has been publishing for 81 years. 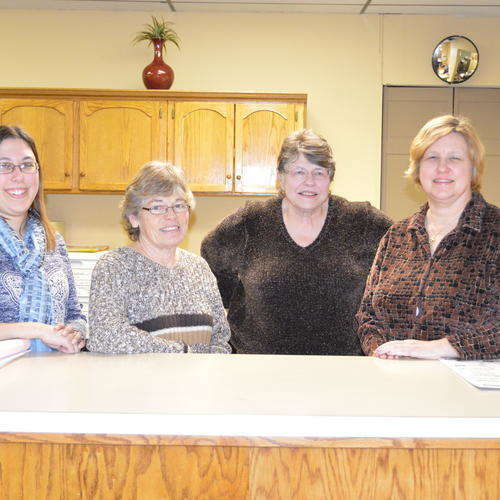 Rust Communications bought the publications, including the Vernon County Record, in 1997. The Daily Mail is published four days a week, Tuesday, Wednesday, Friday and Saturday. The Nevada News is published Wednesday. Nevada the Magazine is published every other month. Floyd Jernigan is the Publisher, Ralph Pokorny is the editor. 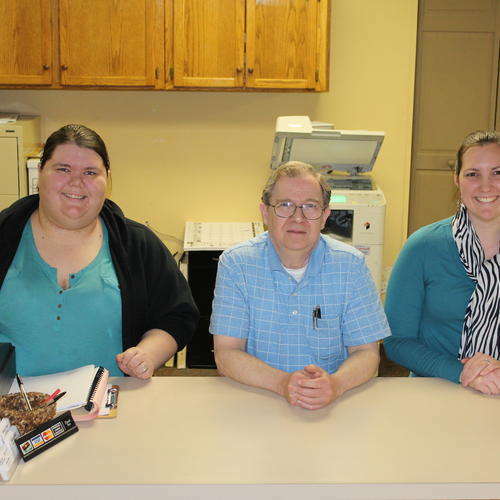 Manager Renee Ast and Assistant Jennifer Sturdy, along with Pressman Rick Hooper, bring a depth of quality and experience. CSR Brittany Shaffer joined the Daily Mail in February. 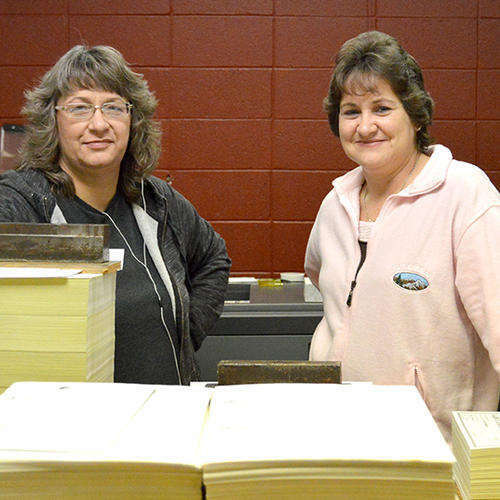 Classified/Print Shop Rep Lula Bradley has 12 years experience, Office Manager Kathy Thomas 9 years, and Circulation Manager Linda Shankel 4 years. Lifestyles Editor Sarah Haney has been with the Daily Mail for five years. Editor Ralph Pokorny has been with the company since 1997. Reporter Micelle Workman started at the Daily Mail in November 2014 following a move from a paper in Texas. 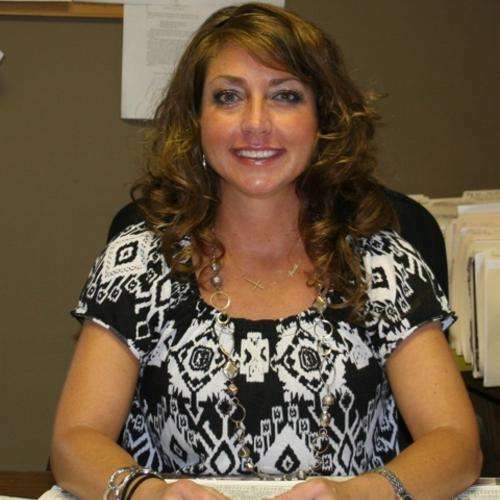 Lorie Harter has 10 years at MOKS, with a background in agriculture, food service, finance, travel/tourism, marketing & economics. My position is rewarding with a purpose.